Bactericidal, Tuberculocidal, Virucidal, Fungicidal, Pseudomonacidal, Sporicidal. Formulated ready for use with no mixing necessary. Re-usable up to 28 days. Contains a corrosion inhibitor. Lemon scented. 4 Litres. Application: Designed to disinfect and soak non critical instruments and objects before autoclaving or that can not be autoclaved. Soak for at least 40 minutes, and up to 10 hours of soaking if possible. Refer to label for full directions. You can use any brand of test strips to test BM®-28 PLUS. No specific brand of test strip is required for this step. Use a test strip that measures a minimum assay of 1.5% of glutaraldehyde. 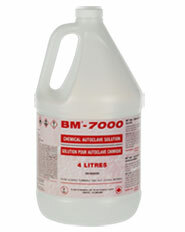 This solution disinfects hard surfaces, such as counter tops, cabinets, lab areas, chairs, etc. Spray solution directly unto surfaces and wipe. It can also be used as a soaking solution to pre-clean or decontaminate critical or semi-critical medical devices prior to further sterilization steps. 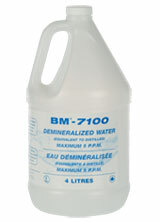 Solution can also be used for disinfecting and soaking non-critical instruments. 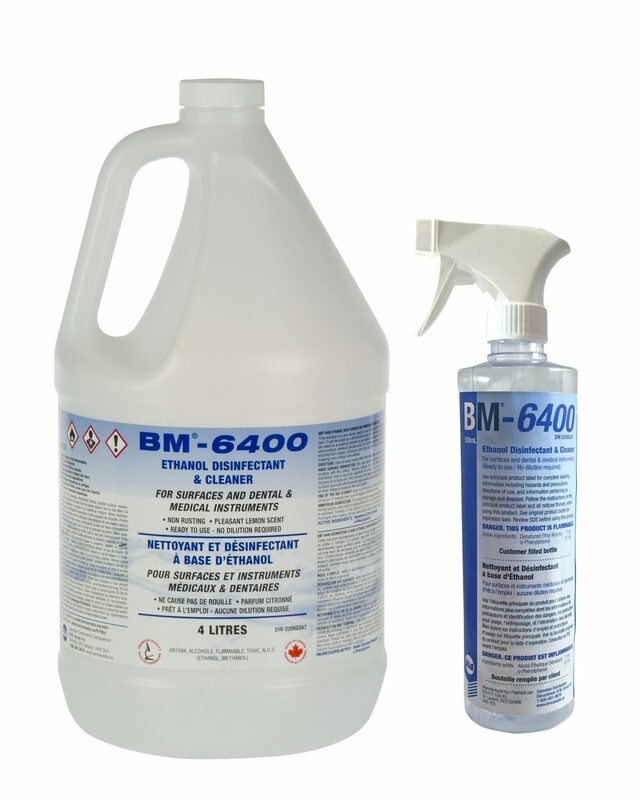 Convenient 500 mL, easy to fill empty spraying bottles, code BM-4S, are available to end users to facilitate hard surface disinfection with BM-6400. 4 Litres. Refer to label for full directions. 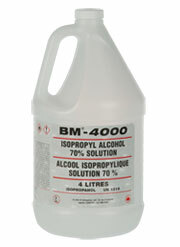 Bactericidal solution, prepared by special process for use with chemical autoclaves for the sterilization of instruments. 4 Litres. *Note : The efficacy information provided is given in good faith and believed to be accurate, but no warranty or guarantee is given or implied. Conditions, applied surfaces, instruments/devices, application temperatures, application times and targeted residues under which the product is being applied will vary from the conditions of normal laboratory efficacy testing. Therefore, each health care facility should conduct its own efficacy testing scores in order to verify the efficacy of the product under its own normal operating conditions to meet the specific requirements of the workplace. **This product is not indicated for disinfection and therefore does not have a drug identification number (DIN). 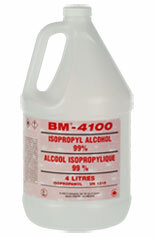 It is sold as a multi-purpose alcohol product, and makes NO label claims for disinfection or any other specific use. End-users should carefully read the product label and inform themselves prior to use of this product, to ensure that this product conforms to their protocols or procedures.